Fantastic residential development opportunity! 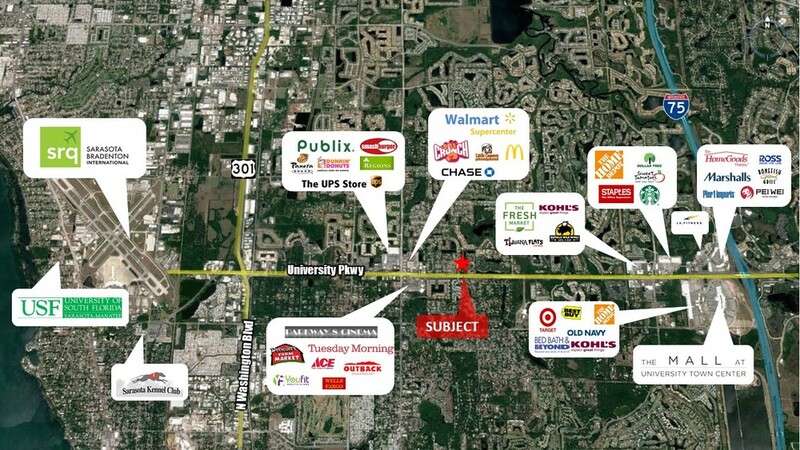 2.54 acres centrally located just off University Parkway in Sarasota near Sarasota-Bradenton International Airport, schools, shopping, dining, the new University Town Center Mall and easy access to Florida's most beautiful beaches. Ideal location for an easy commute to Sarasota or Bradenton. 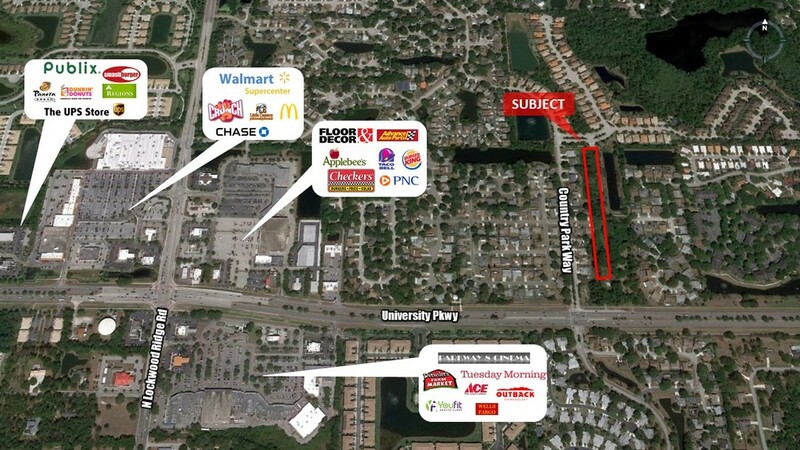 The property is located along the north side of University Parkway east of Country Park Way. 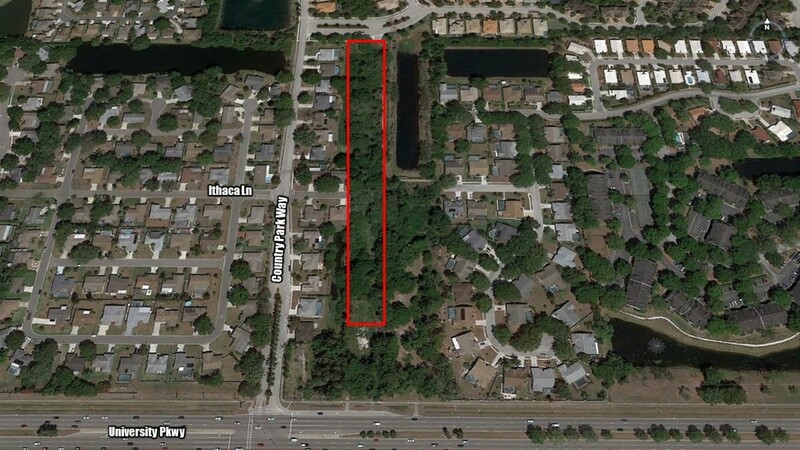 It is located between the Disney Subdivision (west), Sonoma Phase I Subdivision (north), and the Palm West Subdivision.